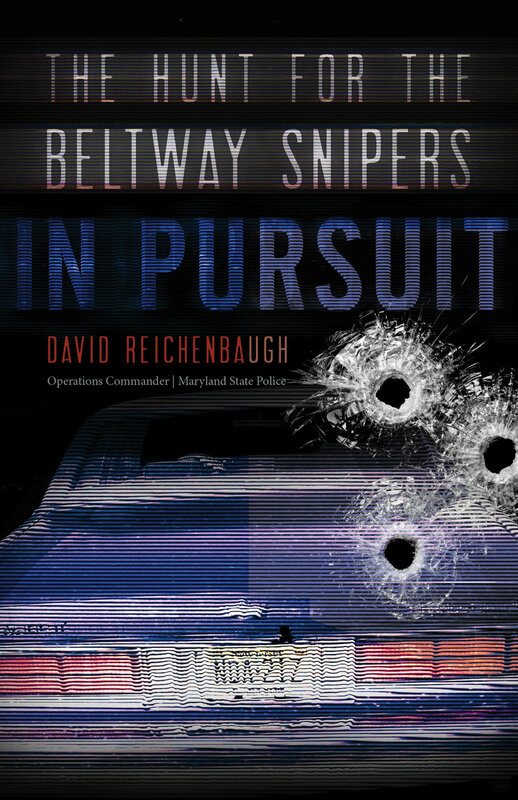 Retired Maryland State Police Lt. David Reichenbaugh, author of In Pursuit the Hunt for the Beltway Snipers that chronicles the most intense and largest manhunt in American Law Enforcement history, will make an appearance at Barnes & Noble in the Francis Scott Key Mall 5500 Buckeystown Pike on Saturday April 13th between 11AM and 4PM where he will be there to answer any questions about his involvement in the capture of the Beltway Snipers and to sign books. He will be among several other local authors for this all day event. On Sunday He will tape a Pod cast with Ann Dark, Tracey Stormy and Kathy Knight for an upcoming pod cast on It was a Dark and Stormy Book Club a pod cast for mystery lovers. This coming off a week where he taped a 2 hour interview for I-Heart Media/Radio for a production to be aired in a couple of months. Last Saturday he did a presentation for over 10 people at the Annapolis Book Festival. His panel was monitored by WBAL Chief Investigative Reporter Jayne Miller. In attendance was New York Times Best selling author Peggy Rowe. He appeared with other NYT best selling authors such as Ken Starr who called him a true American Hero and Evin Thomas, Kevin Cowherd, Isakoff and other best selling and noted authors. Stop by Barnes & Noble in Frederick Maryland this Saturday and meet the author. Fans line up to meet the author and get In Pursuit the Hunt for the Beltway Snipers signed.